Terry Weaver has joined SCCAOR as our new Membership Coordinator. Terry will help new members join SCCAOR and assist current members with any questions or issues about their Association membership. Terry was born and raised in Connecticut and lived in Raleigh, North Carolina for 19 years. She is familiar with the real estate industry, having worked as a REALTOR® in North Carolina. 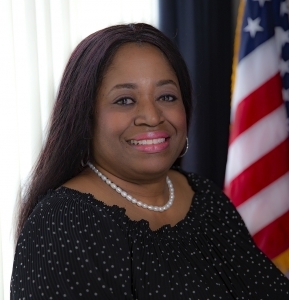 She is also an Air Force Veteran and has a masters in Human Resource Management from DeVry University’s Keller Graduate School of Management, and studied Business Management for her undergrad. Terry is a skilled cosmetologist, having done makeup design for Comic Con. She is also interested in fashion consulting and she has organized fashion shows for her sister’s church. In her free time, she enjoys taking trips to the beach and line dancing. “My two favorite mottos are ‘Dress for Success’ and ‘Work smarter, not harder’,” she said. You can reach our Membership Services team by phone (408-445-8500), email (membership@sccaor.com), and also via live chat on our website.